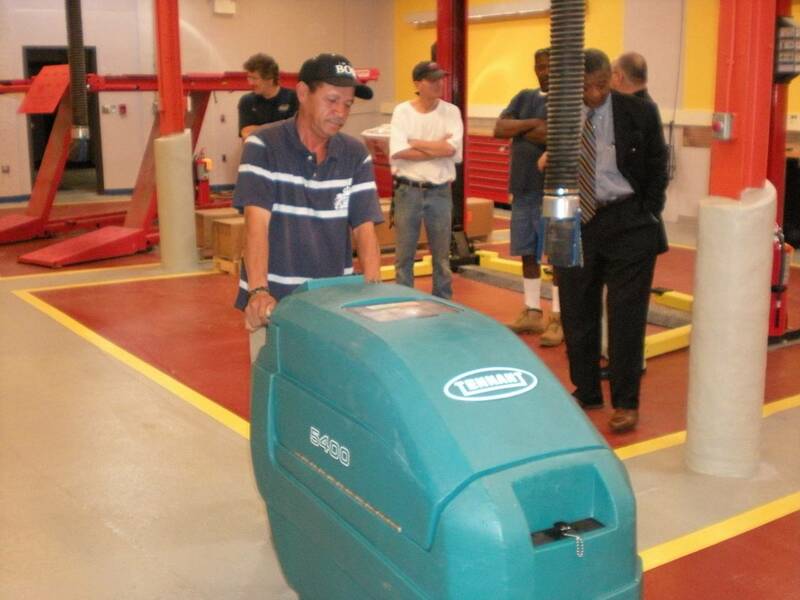 It will be easier to keep the floors clean at Camden’s new Automotive Tech Center, part of the Respond, Inc. A self-propelled floor scrubber has been donated to the New Worker Job Development Center at 924 & 925 N. 8th St. Camden, NJ, serving four work bays and three classrooms. The new battery-operated scrubber, valued at $6,500, was manufactured by Tennant Company of Minneapolis and donated through the assistance of Nick Nicolay, former president of the Rotary Club of Haddonfield. The self-propelled unit will help the maintenance staff at the training center keep the floors spotlessly “clean and safe” for students and faculty alike and includes hands-on training of Respond personnel, detergent, polishing pads and scrubbing pads for tile and concrete floors in the Culinary Arts Center. Thanks again to Tom Menegus, Bob Butterick and Harry Gwynne of Tennant Co. for their time and knowledgeable training on this productive piece of hard surface maintenance equipment. It will be put to good use by Jose and others in helping to keep the Auto Tech Center and other locations clean and safe. 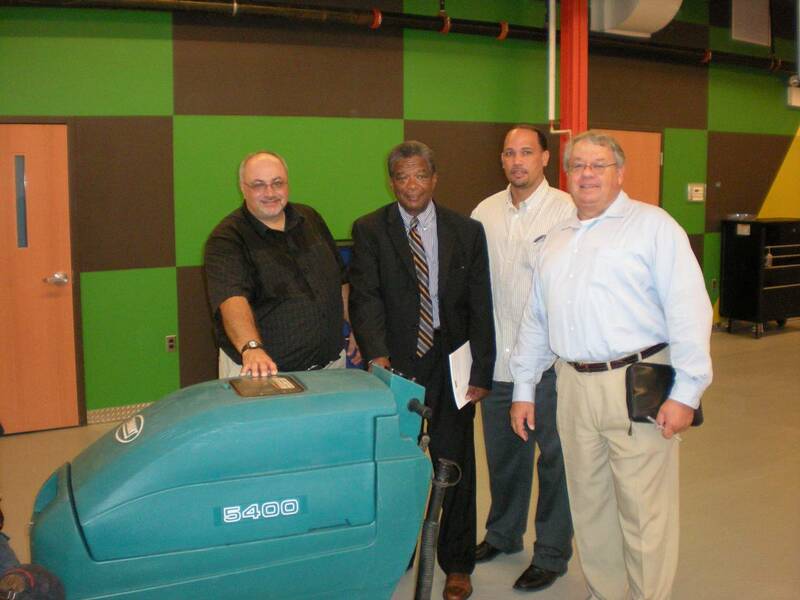 Pictured from left with the machine are: Bob Butterick, Tennant service manager, Pennsauken; Wilbert Mitchell, RESPOND Executive Director; Octavio Loyola, Head Teacher/Director of RESPOND’s Bank Street Early Care and Education Center; and Tom Menegus, major accounts manager, Tennant. In the foreground with the machine is Jose Cortez, of RESPOND’s Maintenance Department, to the right in suit and tie is Wilbert Mitchell, Executive Director of RESPOND. In the background from RESPOND are George J. Crusemire (white shirt) who is on the property maintenance team; and to the right in bermuda shorts, Ed Hemmings also on the property maintenance team at RESPOND. Mitchell, Loyola and Crusemire are all residents of Camden. Content Copyright © 2005-2016 ""Rotary Club of Haddonfield, New Jersey USA""